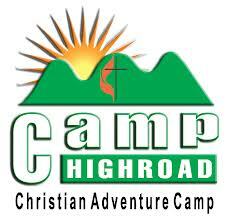 Camp Highroad is a Christian Adventure Camp providing a place for year-round group retreats, camping, team building, outdoor education, Christian summer and winter camps, special events, and many other services. In short, Highroad provides what you’re looking for! Camp Highroad is located just one hour from Washington D.C… but you’d never guess it from the beauty and solitude of the camp. The camp is located near Middleburg, Virginia, on a ridge with the Blue Ridge Mountains in the distance. In this spot, Highroad provides a place of escape for over 10,000 children and adults per year. The 600+ acre facility is owned and operated by the NOVA United Methodist Camp & Conference Corporation, an outreach ministry of the Arlington and Alexandria Districts of the United Methodist Church. Camp Highroad is quite active as an NCAC Boy Scout Campground; offering five miles of roads and hiking trails. Though we will not be using them, Camp Highroad has both a High Ropes and low Ropes Course. The Troop will be camping near the winterized water supply, in the Picnic Area. Rocket launches will be done in the Outback! THIS WILL BE A COLD WEATHER CAMPOUT!! !